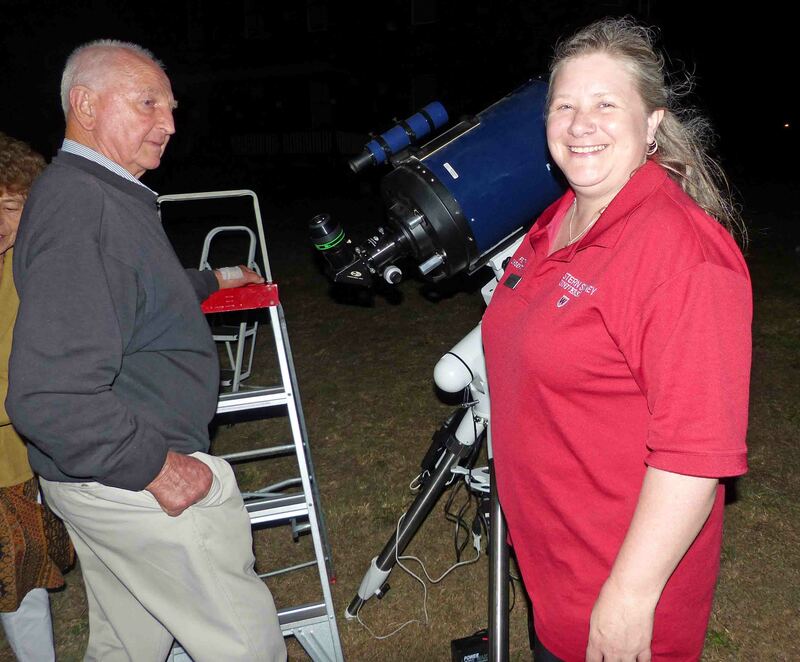 Last night at the La Perouse Museum, the very enthusiastic and knowledgeable Education Manager from the Western Sydney University Penrith Observatory, Raelene Sommer, conducted a night of ‘star-gazing’. 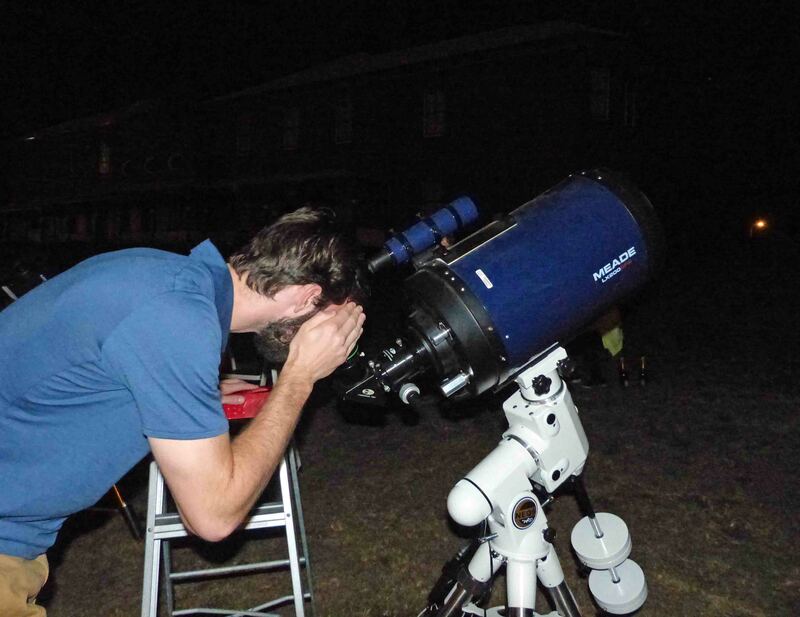 Conditions varied throughout the evening but by 10pm there was good viewing of Sirius, Jewel Box (open star cluster Eta Carinae, star that’s about to go supernova), Alpha Centauri, 47 Tucanae(globular star cluster), and the The Great Orion Nebula . The evening marked the 230th anniversary of the death of Father Receveur, who was the Chaplain on l’Astrolabe, as well being an ecologist, volcanologist, and assistant astronomer to Dagelet. Thanks also to Professor Simeon Simoff, Dean of Computing, Engineering and Mathematics and Professor Information Technology for suggesting this evening; Professor Miroslav Filipovic, Director Western Sydney University Penrith Observatory and Dr Ain de Horta, Astronomer in Charge and particularly to Dave (pictured left) who wielded a mean laser pointer throughout. Details about Penrith Observatory. 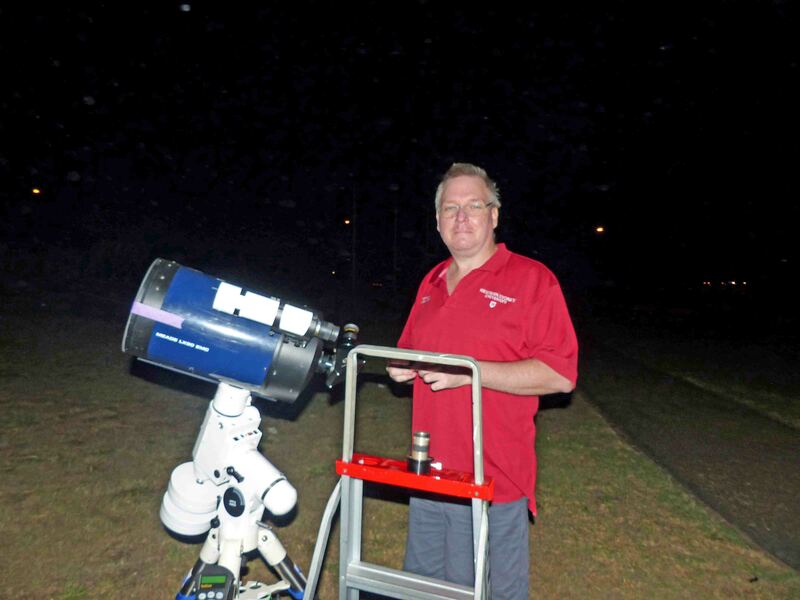 Previous astronomy related events at La Perouse include – link. As part of the National Trust Festival the Friends of the Laperouse Museum sponsored a tour of historic sites on the La Perouse Headland. The walk and morning tea discussion, led by Lynda Newnam, was titled Explorers of the Southern Skies in Botany Bay and interpreted the importance of Astronomy to the expeditions of Cook and Laperouse. Napoleon had an unexpected connection with the history of astronomy in Australia. When at the Ecole Militaire, he applied to go to on the Laperouse expedition. Napoleon was a pupil of Dagelet. Alexander Jean des Mazis, one of Napoleon’s friends at the school, wrote about Napoleon’s application. ’Buonaparte would have liked the opportunity of displaying his energy in such a fine enterprise as an assistant astronomer.’ Napoleon made the short list but not the final which was drawn up by Condorcet, Jussieu and Buffon. Darbaud was the only pupil of Dagelet to be selected. Although Napoleon did not visit Australia he did maintain an interest and when appointed First Consul commissioned the Baudin expedition. Link to letter written by Dagelet to William Dawes.